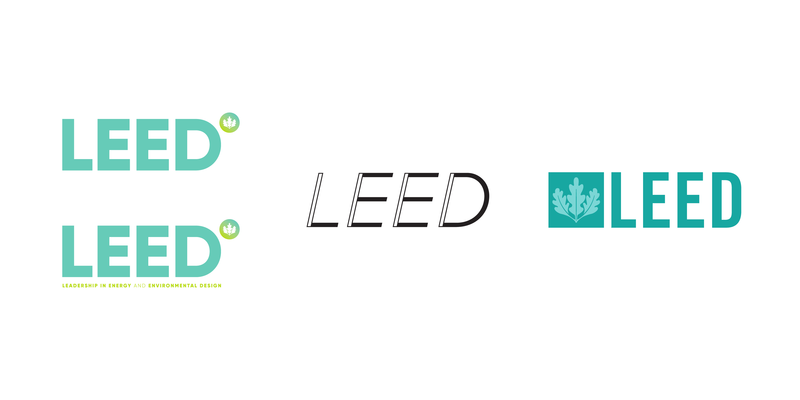 USGBC’s LEED logo has become an iconic symbol of achievement in sustainability across the world. So, you may ask, why would we need to create a supplemental wordmark design? 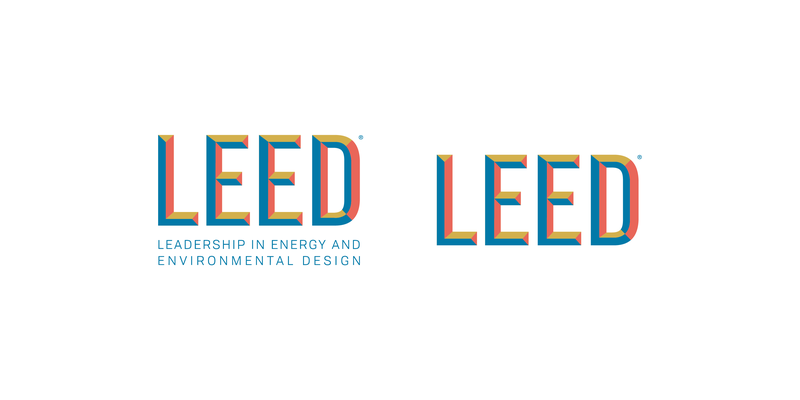 We set out to create a wordmark that could serve as a visual reference to the LEED rating system that we could share freely with our community, collaborators and others. Our intent is for them to be able to use our distinctive wordmark when referencing LEED in presentations, educational content and other applications. We went through a design process, and covered a few rounds of possible designs. The main goal was to have the wordmark remain easily recognizable as the LEED brand, but not look too similar to our existing program logo. We wanted to make a departure from our standard colors associated with LEED, and also create a slightly more playful mark that didn’t feel as formal as the existing program logo. The final design we landed on mimics the beveled font that our program logo uses for LEED. We wanted to maintain that clean, simple feel, but also introduce a new palette of colors that felt less formal. 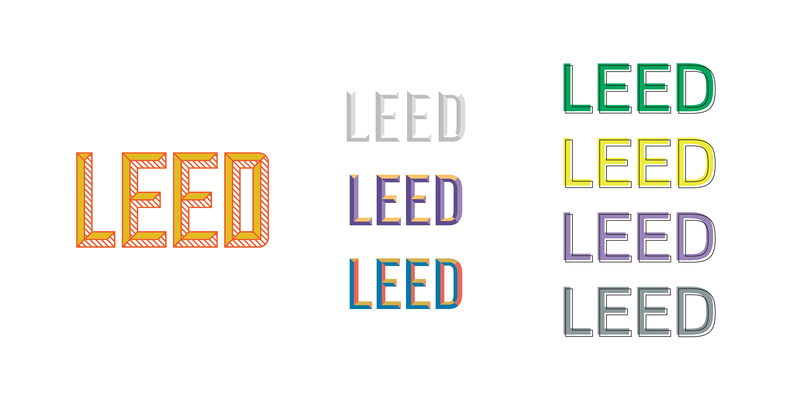 The three colors we used are Pantone 7416 C, Pantone 7751 C and Pantone 7690 C. The LEED wordmark must always appear in its standard colors or in one color. This project almost felt like a rebrand, because we had such an established personality for LEED already. We really had to tackle what this wordmark should mean, and how we wanted people to use it. We have now translated the wordmark into a social media background that you can see on USGBC’s Twitter and Facebook pages.